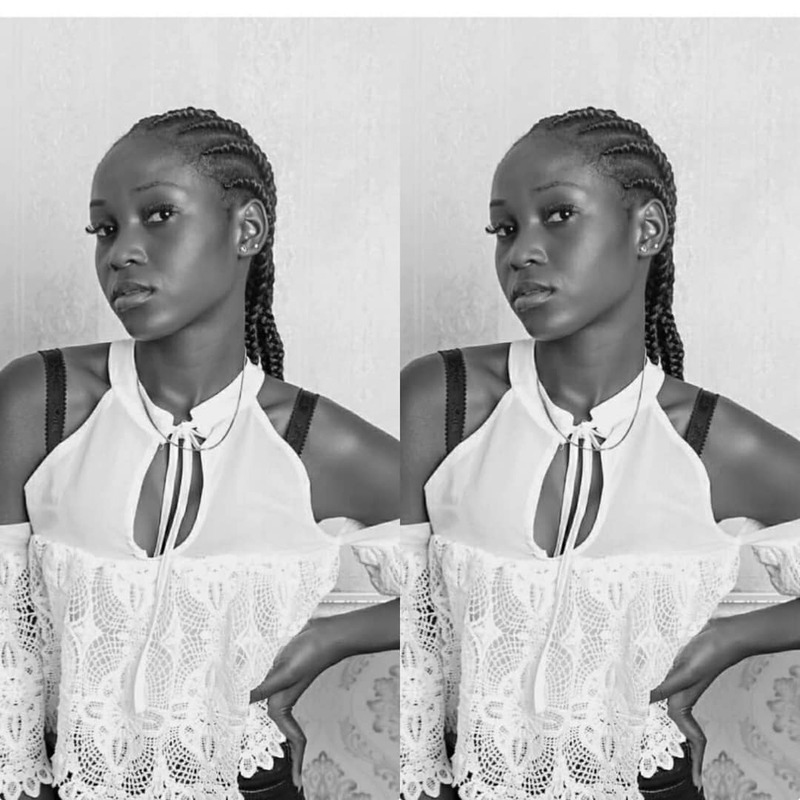 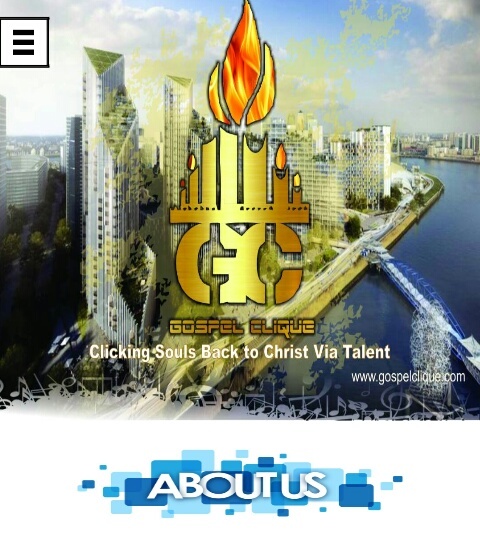 Controversial OAP Ifedayo Olarinde, better known as Daddy Freeze, is making some insinuations about Covenant University and the founder of the institution, Bishop David Oyedepo. 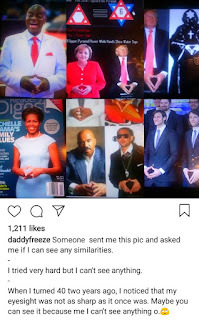 A number of followers interpreted it to mean that he's accusing them of throwing up the Illuminati sign. 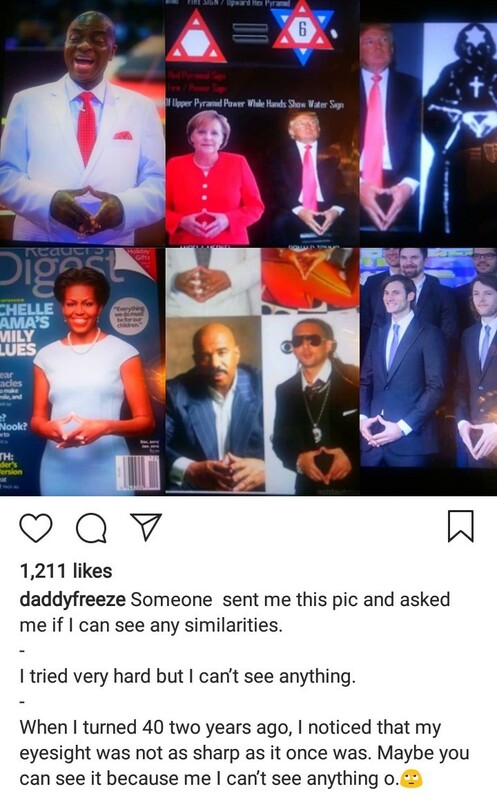 But some pointed out to Freeze that the gesture could also be a pose to show confidence. 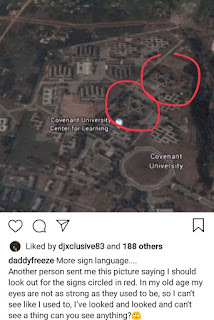 He went on the share another photo showing the aerial view of Bishop Oyedepo's school, Covenant University. 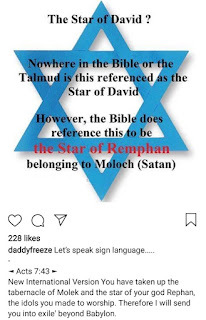 The spot on which the institution stands was circled with a red marker to show the school designed in the form of the Star of David, a symbol of Judaism. 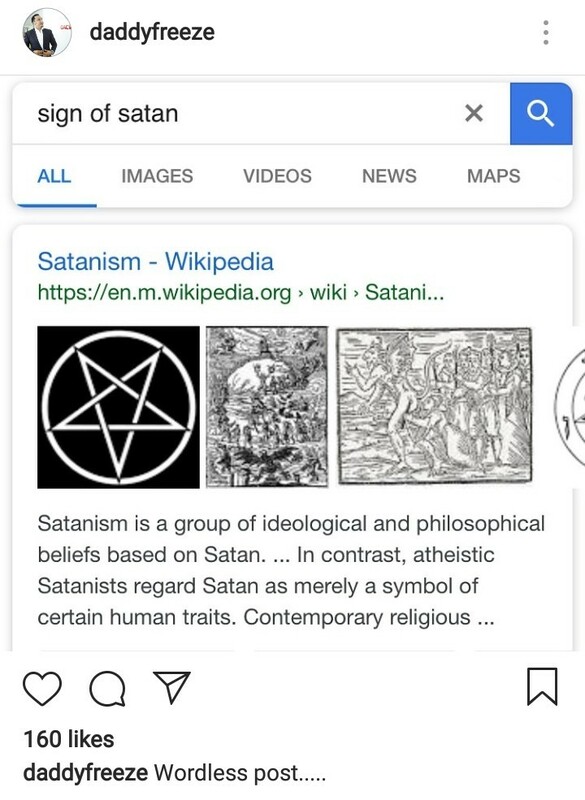 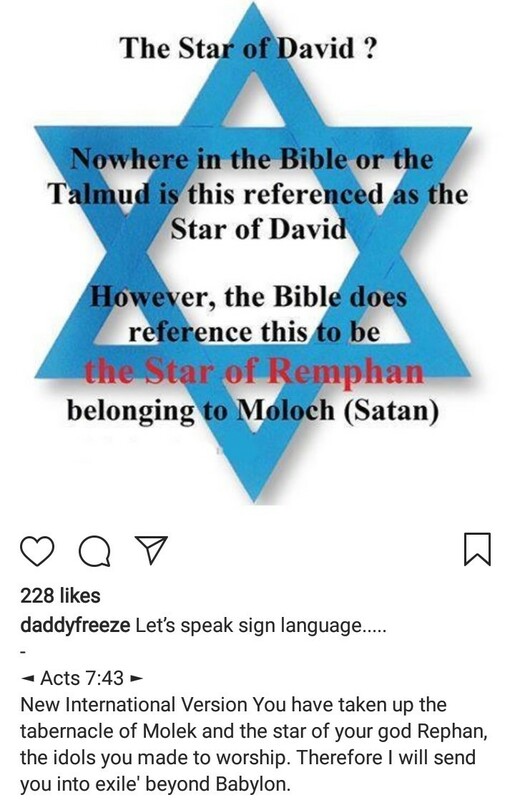 He then shared a screenshot of a Wikipedia definition of Satanism, which happens to have the Star of David inside a circle as the symbol for Satanism. 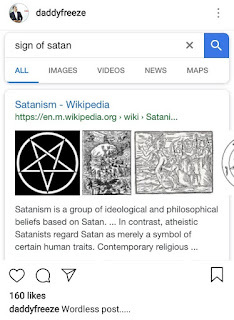 His caption for the post reads: " Wordless post."